Published: Sept. 28, 2014 at 10:46 a.m. Updated: Sept. 28, 2014 at 11:30 a.m. The league is on the verge of making personal foul penalties reviewable for the first time in the game's history. 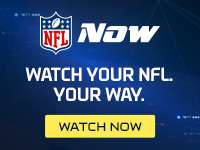 NFL Media Insider Ian Rapoport reported Sunday on NFL GameDay Morning that a proposal submitted last offseason by the Washington Redskins now has the support it needs to pass this spring. Washington's proposal to expand instant replay to personal foul penalties failed by just four votes at the NFL Annual Meeting in March. Rapoport was told that four teams who voted against the proposal will now cast their ballots in favor of the idea after the season. "This is on the agenda when the competition committee meets in March," Rapoport told NFL Media's Rich Eisen. "The likelihood is that this is coming for the 2015 season." Rapoport noted that making personal foul penalties reviewable might start a "little narrower -- it could be just hits on receivers," but it's an encouraging first step for a rule change many felt should have passed years ago.